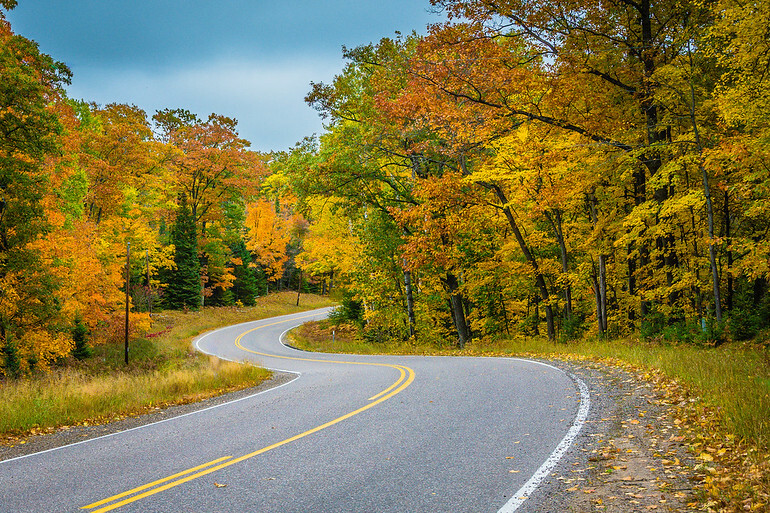 The upper Midwest can provide some of the most spectacular fall colors and scenic drives. This is a road along Star Lake headed towards Boulder Junction, Wisconsin, an area that includes Manitowish Waters and Minocqua, an island town. Spending a few days here in early October is well worth the trip!